- When he signed on the dotted line in free agency in March, the Bills had an immediate upgrade to a position that played quite poorly all throughout the 2017 season. 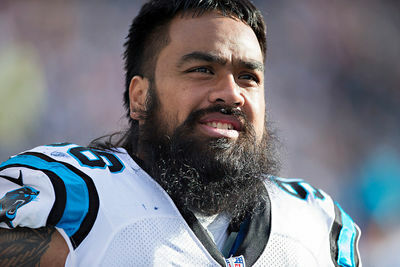 Star Lotulelei comes in as an immediate starter for the Bills at the one-technique position along the defensive line, boasting a frame, a skill-set that meshes well, and plenty of experience in the very defense that the Bills will be running in the upcoming season. The Bills signed Lotulelei to a long-term deal, meaning they would have no incentive to try and release him at least until the 2020 season, but even then they'd still have to eat a fair amount of cap space to do so. At 28 years old, Lotulelei is right in the prime of his career, so the expectation is that he'll continue at his current playing level for the next two-to-three season. Despite playing in his prime, he doesn't play a high profile position and statistics alone overlook his actual impact on the game. - In the upcoming season, the Bills will hope Lotulelei can be a considerable upgrade to the below average play of Marcell Dareus before the trade, and then of Adolphus Washington at the one-technique defensive tackle spot. Lotulelei's primary responsibilities will be to eat up a blocker or two each play and to allow his more rush-oriented teammates around him to get a one-on-one matchup to make a positive contribution. If Lotulelei is getting pushed around, or even falls on some plays, it makes the offense that much easier to control life at the line of scrimmage -- which was a considerable issue for the Bills during the 2017 season. With high ticket items around him on the defensive line, the Bills will depend on Lotulelei to be the glue that holds the defense together.